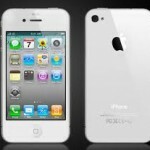 Apple has just released the white Iphone 4; a peace of great technology many people have been waiting for, for almost ten months. The white Iphone 4 is almost the same as the black Iphone 4, although it seems to be slightly thicker for a reason unknown to the public and unexplained by Apple. Speculation is that this may be related to the delay of the product. Apple give ‘manufacturing issues’ with the white version as a reason for the delay. This is true of course, but how did the delay affect sales? The delay of the white Iphone 4 did not affect sales negatively when the Iphone 4 was first released even though there wasn’t a choice of colour. This was to be expected, because people are always excited about something that is new. Sure, there wasn’t a white version but why hold out for something that may come, when you can buy something new and exciting right now? New is exciting, old is not. By releasing the white Iphone later than the black Iphone, Apple have effectively released something new and exciting yet again. Will it draw people to the shops like the black Iphone did? No probably, not because it’s not that new. But think about this: you’re not a massive Apple lover and you don’t have any loyalty to any other brand, but you are looking for a new smart phone. What would interest you more: A fairly new Motorola? The latest Blackberry, released three months ago? Or… a brand spanking new white Iphone 4, fresh on the shelves this morning? If you have a good product that sells, it will definitely sell if it is reinvented somehow. Even if it’s just a different colour, it will sell more simply because it’s newer and more exciting than everything else. The word “new” works miracles in sales. And people don’t just like new stuff because it is exciting. If you buy something new, your purchase will be exciting to other people as well. It will put you at the centre of attention which will make you feel important, even if it’s just for a little while. And yes, we do like to feel important, so we had better make sure that we buy something new and exciting when we go out to buy a new phone. The lesson we can learn from Apple is that “new” always sells. When you are selling something, always make sure to point out the newest products and the new features it has, because new is exciting and it’s what people want… even if it’s just a new colour.